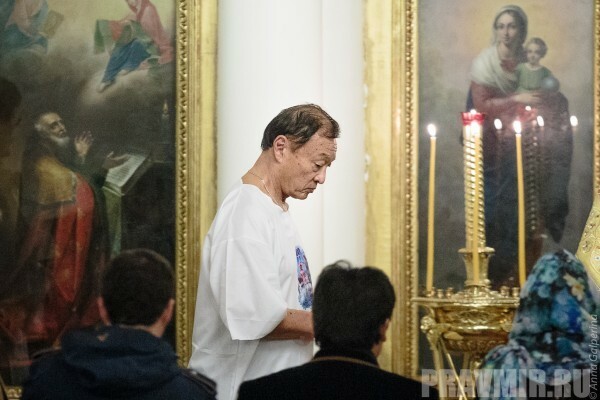 Actor Cary-Hiroyuki Tagawa who starred in the movie “Priest-San: Samurai's Confession” accepted baptism in the Russian Orthodox Church. The newly-baptized man received the name of Panteleimon. 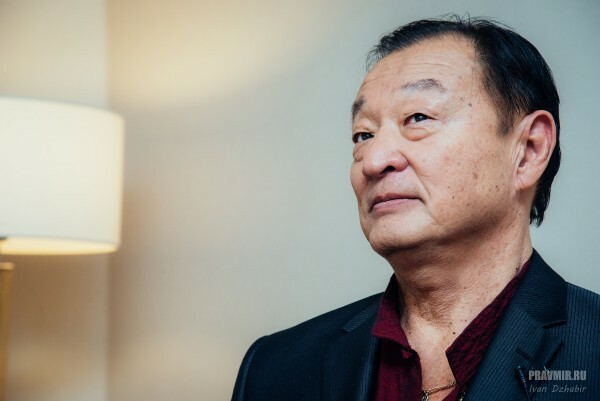 Mr. Tagawa spoke with Editor-in-chief of Pravmir Anna Danilova. 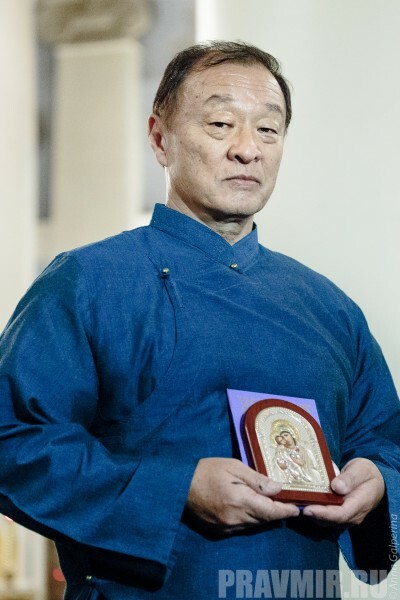 –Mister Tagawa, congratulations on converting to the Orthodox faith! Can you please tell me, do you remember that moment — that day — when you decided to convert? – In actuality it was not too long ago, but this is an issue that’s been on going in my mind for a long time. Especially with my experience. 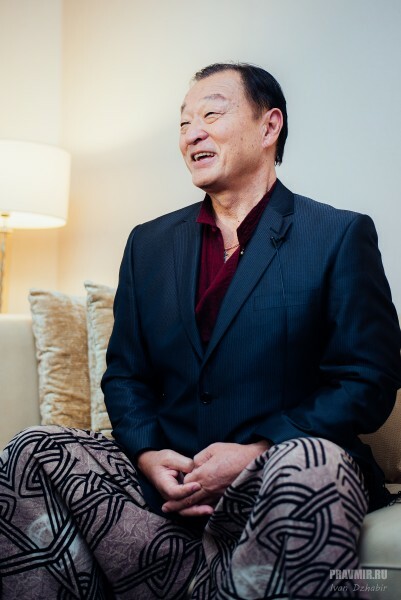 When I was six years old, I went from Tokyo to the United States My parents decided that we should become Christians and not Buddhist and Shinto as they were. They sent me and my brother to Sunday school every week of course —and so it was natural for us in our American experience to become Christian — and American Christianity is very specific kind of Christianity, as is Orthodoxy. The difference being that it’s less formal and less structured. My brother is more of that kind of Christian — American Christianity. I felt more Japanese than he did, growing up in America. Really the idea’s more structure, more ritual — and there was a different kind of respect for the religion and for Christ — and it separated us. So he followed his faith and I had been waiting all my life to find the right structure for me — and this happened about a month and a half ago. My manager, I want to thank him very personally… because so much of this experience, of the choice was not only with his urging, but his support. 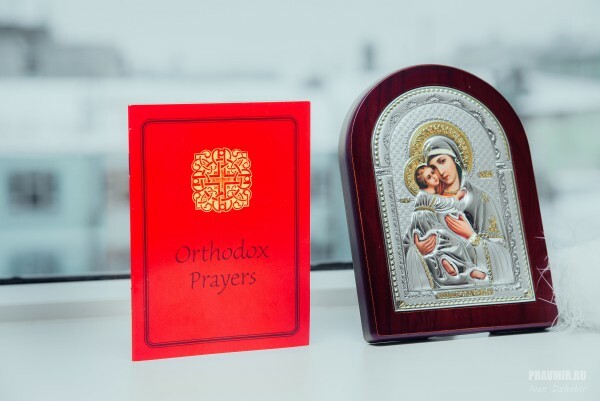 Wherever we went in the former Soviet Union — to different countries — we always went to the church first to ask for a blessing for our trip and protection for our trip. He has been so instrumental — I mean I can’t say enough about him and this experience to make the choice, but it was fairly recent — the final choice — but a lifelong experience with my own Christian faith. -Do you remember the moment when you thought: “Ok, so this is my choice, I’m converting”? – I do. It’s a little bit more than simple, in this way. We know that at this moment in history for our planet…There seems to be so much conflict about religion’s energy — and in most countries, before this began, people all lived together, religiously tolerant of each other. There wasn’t any issue if … and how could it be a problem that we were having sort conflict about a person’s connection to God, to Spirit? And that came into mind…that came into mind that maybe this is not a good time, but I thought about it for a while. It finally came down to losing those concerns and losing that fear and standing up for what you believe and what is best for your own soul? This is not a simple decision. It is not a simple environment — and so, after all the questions, the answer became simple, there’s only one answer: God or, maybe later God — and so it happened… that was one thing, the decision. The next was the actual experience of the confession, baptism — it was something more than I expected, but the initial points did have some concerns. -I can’t help but ask this question. I saw the film during a press release on Thursday. On and Friday night, tragic events happened in Paris. We’ve been witnessing a lot of terror attacks lately. What do you think about all that? What do you think about this tense situation that we are observing in Europe and in Asia at the moment? – It is very clearly a result of other issues, certainly, and certainly you can say its political. It’s the nature of our world that war has become business for certain people and for those that are oppressed by that business… They have no other means; they don’t have enough money for an air force. They don’t have money for regular conventional war, which is not good anyway. You know very clearly from the Bible when God says – “thou shall not kill.” It doesn’t say you can if you have an army or if you can afford this or that. So certainly there are some desperate people using desperate means. I can’t say I condone it at all — but I have a strange kind of understanding that people can get awfully desperate and use means that are so unconventional. It’s art for those of us who have armies. It is art for those of us who are busy watching sort of hyped up entertainment — but for those that are desperate and they’re living in a desperate situations — this is critical that they do what they do. I don’t condone it, but I have a strange understanding for it. I feel bad for anybody who is involved in an act of terrorism, but I also feel bad for those of us who are caught in societies where we’re so busy with ridiculous kind of issues. – Well, like ridiculous — and I hate to name Hollywood, but there are some parts of Hollywood that create these kind of unreal reality shows. You know? And people that are more worried about the next episode of a reality show than are concerned about anybody on the planet — and that’s one thing about my religion, my feelings for that — and I’m so un-Hollywood; I’m unusual for a “celebrity”. I’m very odd because I’m very much a thinking person; I’m very much a caring person; I’m very much a serving person. These are all things that are part of my DNA. Its not anything that I can wash away because I do a movie. To me, a movie is very important to me and although, I’ve played a lot of bad guys I don’t condone bad guys, but it’s important for my job as an actor to be as real to that energy and I think that’s it makes my characters a little scary sometimes —but my true nature is caring and compassionate. In other words — samurai. This movie says the confessions of a samurai. The Chinese character, the Japanese letter for “samurai” comes from the word “to serve.” Service is a very important part of the Japanese culture, altogether, but some people look at MMA and fighting and they think samurai warrior, but that’s not service — and so, that being the case, when the situations that are happening today and the tragedies… I am very, very compassionate about that — very concerned that people have a god to go to — to really be close to. I send my prayers to them. -Actually you’ve always stared in films where combat, and some scary combat, is in the middle of the plot, but the modern world is actually becoming more scary than the scariest combat movies. – Yes. Nice question. Perfect lead to the difference between samurai, martial arts, and on the other side boxing, and MMA — and I’m not criticizing them, but there is clear difference. On one side is to be a warrior. Truly live a life that has values that has purpose and has spiritual guidance. 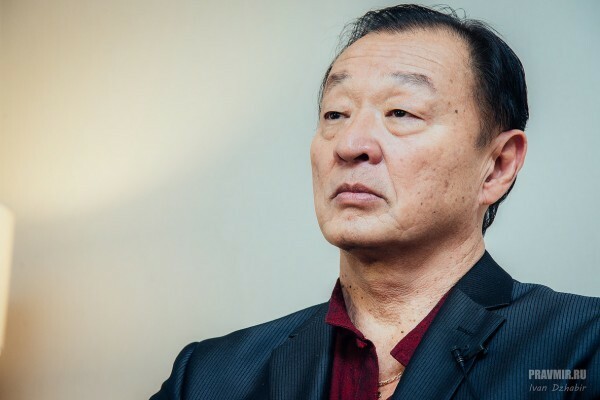 On the other side you can fight in the street, you can box in the street, but the difference is the principles that guide them — and in that way combat movies that I’ve done certainly have a reflection of martial arts and things like that. That’s the business of movies and especially in the business of Hollywood. It is one thing that we’re guilty of in the movies of Hollywood. There’s too much just good and bad. If you’re going to be good you have to find somebody who is bad and that’s the bad part of martial arts — and the bad part of, sort of, that mentality is that nobody recognizes the value of the true purpose of what martial arts are about. They’re basically to protect people and also to defeat the opponent, but at the same time the values and the importance of studying martial arts is the key to what it’s about — and I hate to say this, but this is just me. I’m kind of an honest, straightforward person in a diplomatic way. So I would say there’s also a teaching and learning of martial arts today that doesn’t share the value. To me it is tragic and it’s absolutely incorrect. I couldn’t do that – not only because of my own personality, but the way I look, I wouldn’t look right acting stupid. -So this character did influence you in some way? -As you’ve said in a number of interviews, your previous characters did influence you, but these were basically “bad guys”. Now you playing someone absolutely different? – Yes, and not only is he “good” — he came from a bad background, and this is unusual. There is a history in Japan of bad guys, gangsters, becoming priests. So this is why its so really in my own being difficult just to condemn people for their actions. This is not what God wants. Let God do that. That’s God’s job. It is not for men to judge other men or men to kill other men, of course — and, yeah in that sense, this film really spoke to the idea that even from playing those guys you have a transition to become priest and represent God. Especially, I had very strong anger from growing up in America, because I grew up in probably the most racist area. – The living hellish about it is that when you take a child whose energy is so wide open and normal to experience such evil expressions toward that child… When I play bad guys in fact I use that memory: how much it hurt me and then how much I wanted to hurt them. -Are you speaking about racism here? – Oh, absolutely! Racism towards Japanese. Ten years after World War II, it was not popular to be Japanese in the South (in North Carolina, Louisiana, and Texas). On top of the fact that my father was in the US Army. Unusual situation at the time… I’m just very proud to say that he’s from Hawaii and the men that became soldiers for the US Army from Hawaii were became the most decorated. They won the most number of medals in the history of United States for one group of soldiers. So I had to make my way using that, to create situations where I could lead the whole class of sort of racist children. So I volunteered to be the emcee for the Christmas program and all these things… I made myself bigger than the problem. That’s how you lead. So in the worst situations just for children (not to say to become like me), but to find ways that when you’re feeling like its helpless and you doing ridiculous things like taking drugs or getting drunk or whatever — don’t ever lose hope because there is a God. And then I just encourage children to find that. I encourage parents to encourage that, within the family kind of experience, and here in Russia especially. It’s not always the case, but there’s such a strong power of spirit and passion about life that is so naturally a part of the Russian DNA, the Russian weather! It makes you very, very strong and powerful personality. And use this strength for what is right and what is most powerful for life in that is definite religious, or God experience. -You know, one of the famous Russian singer wrote in her Facebook page when she found out you’re converting, she said, “Oh, it’s like Darth Vader would have converted into Buddhism”. So, maybe people perceive you, its just natural for all characters or for all actors, as, well, more of your characters. How do you feel about it? – I’m fine with anybody’s opinion about anything about me because they don’t know me. So if she’s watching now, I would say to her: I appreciate your comment. Its sounds like a Facebook comment. Sounds like a very simplistic, entertainer kind of comment, but I’m sure there are other people. One thing about acting, and I plan to teach acting, that your dealing with 90% of your brain, only using 10% to express a character, but in fact when you play that character, 90% of your brain is being affected. They found that on Broadway when they did the play Marquise de Sade that after a year some people actually lost their mind. They had to put them in an institution, because if you do something enough — it’s going to affect your subconscious. I was aware of that going in and even with being aware its not enough, but in that its part of Japanese nature to have both, to understand things from both the light and the dark. So certainly I played dark characters, but I played them from my light. My light is not always an absolutely powerful; there have been weak moments, so it has affected my life. I’ve had negative things happen in my life. I’m not an angel, certainly a human who is working his way through, but I looked from age 6 when I became more aware of my environment, how to make that more God directed and treat people the way that I would want to be treated which is part of Christianity too. So, thank you for the comment, but give it time. I’d like to meet you and you can see I’m not my evil characters. I can play evil pretty bad and as part of my life work if people see me walking done the street not smiling, they become afraid. I can see them walk across the street or you know they kind of…but that’s the nature of our planet. So I had to kind of grow up being more happy all the time and that gets a little tiring sometimes, but I feel that more naturally now, especially with this experience of Orthpdox Christianity. -You also hear quite a lot about treating people. 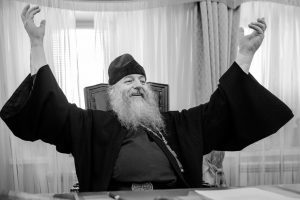 There was once a quotation and you said that my method is to treat people, to kill people with the help of martial arts — and now you have new name – Panteleimon, which is a famous saint who was treating, curing people. So is there a connection? A woman that had lymphatic cancer and had emphysema, who was dying and they said: “Please come”. And I said I have never worked with anybody who had these problems and they said please, she’s only got two months to live. She is very very desperate. Anything will help. I said please explain to her that there is no guarantee. This is something I do to help people with there backs and so that as an exercise I have developed a whole system and so they said, “Yes. That is fine.” So, I went and I was just breathing with her. I didn’t put my hand…I didn’t touch her. I just gave her instruction on how to breathe and how to keep breathing more and more. She was blue in the face and she was shaking and had blankets on — and just from breathing the circulation, the color came back to her face. So she went from blue to a you know, healthy color. She started sweating and she gets so excited that she screamed. Her parents came. They looked at her and they were like in total shock. They looked at me. They looked at her and then they told me: “You must leave”. They didn’t watch what I was doing. I just asked her to do some breathing. Its almost like they thought I had done some… I didn’t do anything, but something very simple — and for me that was a religious experience for me. 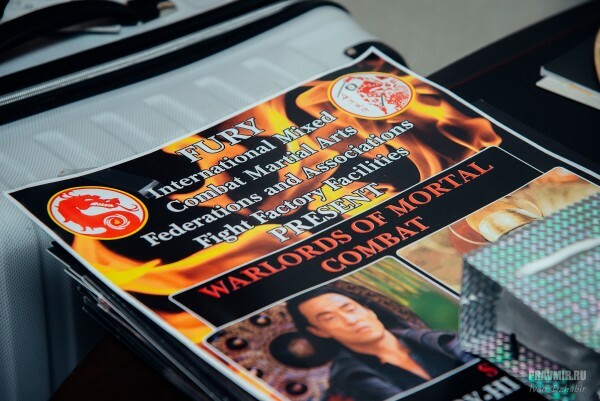 That’s what made me decide at that moment that I needed to know more about why and what happened, but that was to be my life as a service, not to teach martial arts, because I respect martial artists. 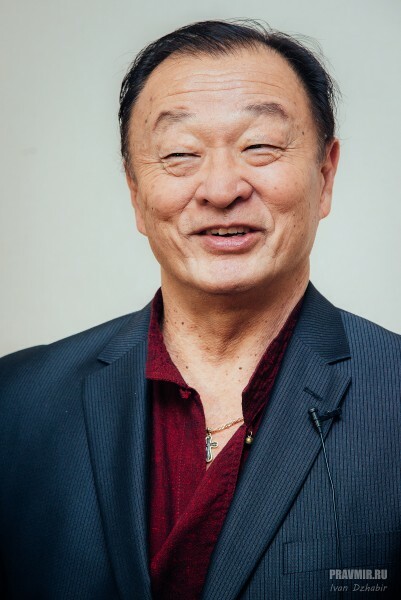 I respect those who are devoting their life, but I decided to create a system so that…not that people would follow me… but, simply for people to experience themselves and be responsible for their own health. 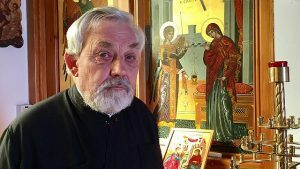 So that’s why I choose the name Panteleimon and it is very inspirational to find that within the Church there was an Orthodox Christian who was also doing that kind of work. So, when I understood that, that if there are people that are sick… Is it okay to help them? That is what the Church is doing and is it okay if I do? And he said yes, but it is hard for me to keep it so quiet. So, I am expressing that now. So, its especially for those Christians that understand what I’m doing. -Has your life, your real life, ever been in danger? – In danger. Yes, and some of it being directly of my own making and some of it had nothing to do with anything that I do — and I would say danger really is an expression of a feeling or thought. I’s how you perceive a situation. 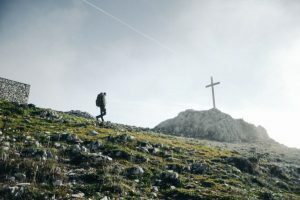 Yeah, I don’t really want to talk about that much, but that sense of being in danger, of course takes your whole… being to have something within it that you seek to help — and certainly it was when I look back that I didn’t have as much connection directly to God. It was part of martial arts that saved me, part of it was my mother’s teaching, but now it’s much easier to understand that it was always God, but this is what’s crazy about this movie, because so much of it is parallel — and the part where he says I’m not afraid to die. I’m just afraid I’m not worthy of God’s love and that has been absolutely my dilemma my whole life. I feel guilty about certain things. I didn’t think that I was worthy. Absolutely believed in God and even more that I that I believed in God created more and more fear about not being worthy, but now I have been accepted again by God. I confessed those things I was feeling guilty about. I feel new. Its amazing that when I went through the baptism that I really felt cleansed and released of those things in my being that through the confession that really were bothering me my whole life — and now I feel clear that I’m worthy of that love and also to share that love. I went to a school last night. There were 35 000 children studying artistic forms of expression – dance, music, singing, acting, and sports especially. So, the martial that I want to teach arts them with value and so I feel cleansed that I get to work directly with children. I’m very excited about that. -A question about the fact that you are going to became a Russian citizen. – It would seem like it.
. -..a lot of famous people are now asking for Russian citizenship. Why citizenship? You can actually come and stay here as long as you want — and you do not have plans to live here a long time. Can you explain a little bit your motivation? – I was a naturalized American citizen from the time I was 17. So certainly until then I was in that limbo. Kind of just stuck between heaven and hell. -Have you got Japanese citizenship, by the way. – No. I was born in Japan, but I haven’t accepted it. Throughout my life there were so many times that I thought I would like to have dual citizenship. There is absolutely a reason to honor America for giving me the experience of my childhood…my “teenagehood”…and even into my adult life, but at this moment, turning 65, when I should be getting older and older (I am getting older, than no doubt about that), but things that were left on done in all these years are reall becoming much more critical to clear up and to move into the space of who I really am about. That’s one thing about the Russian energy, Mother Russia energy — the deep soul energy of Russia, not just a history of so long. You know Moscow is that is three times the length of history of all of the United States. So we’re talking about a very old culture, deep within the soul. I feel like the American culture and this is of no disrespect it is just naturally true that 300 years is hardly enough time for people to become deeply soulful — and I think in a certain way tolerant and a part of a greater world consciousness. I’ve done my best, I’ve done my work, I have been searching for my soul and I identify with the Russian soul very clearly. The depth of struggle and the triumph over the pain… So much of Russian music is in minor chord… it’s always… it gets to me. I’ve heard it so much growing up, even heard from my mother. She loved classical music and she would teach me… and the passion, the intelligence, the creativity that comes from that kind of experience versus kind of a baby culture is different… you know. Say, Russian culture, but at the same time we’re talking about — on the other side pop culture. Pop culture. Deep soulful culture. I’ve lived in this and I’ve worked within it. I don’t think you can work any deeper in an American experience than Hollywood. Hollywood certainly has tremendous power, but its tremendous power for a certain understanding of life and people. Russia, Mother Russia, is so much more clear to my soul. This isn’t just some sort of mindless choice. I want to also to be in service to the Russian people. I think its important (not that I think your in trouble), but its something that I can act with and especially for the children. The word “human” actually means god or divine. “Hu” is the ancient name for the divine and “mon” or “man”, which is thought or expression. So, in America, you know, people are always going awwh…you know…I’m only human I can’t do this…I can’t do that. The word actually means “I’m only divine expression — and I thought there is a little bit of a communication problem here, because I always believed in that and living in a culture that’s sill learning so much and I certainly won’t leave my sharing with America, but I also need to this part badly. You know, we all need teachers. We all need something to be inspired and then do our work…or whatever. So that’s why I choose to have both. I don’t choose to renounce American citizenship. Certainly to identify with Mother Russia is important. Politics that’s another question. That’s not a question of God — that’s a question of men. Leave that to men to solve that and in between. Its a little difficult to being in between for people that don’t understand or people who think I am Darth Vader… or a monk…or accepts buddism. Well, my last question would be, can you please… I was really very astonished when I heard your theory about not fighting, but still be a leader. Could you give, maybe, some practical tips for school the children, for these boys who are involved in all kinds of fights and combats, so you could show them some different way? Can you give some practical tips to them? – Yeah. It all depends on their age and understanding, certainly, but first of all — we all must have a reason — and I would just suggest, number one, it is a Divine reason. We have to understand we are limited in our experience that there is an energy that is greater…and in that first of all we need to understand that anybody who is bullying somebody else is a weak person. They even are more sensitive than the person they are beating up in a certain way, because they have so much anger and being upset… that they have…and then its all of a sudden target. I call it target mentality..and I think we don’t recognize the bully enough. We don’t understand who that person is. Its not from strength, because he is physically strong or something that anything is right about that. For the people watching: “Oh, well he is just stronger.” He is weaker. He is just so weak that he doesn’t know what to do with that — and I have compassion for that. I wasn’t ever really a bully, but I found ways in situations that the bully and I were in the same class and that doing what I was doing and becoming a leader by taking positions of leadership — ai didn’t move away from it. I jumped ahead. When the bullies are kind of like this… and they’d say volunteers and I’d go like that… and they’d go: “What’s he doing?” You know. I’m big and strong, but in this moment ther is something going on that is not that strong about them. So number 1 is the Divine. Number 2 is to do not give them power. Do not let them feel that they are so powerful over you — and number three…you have to become aware. You have to see situations coming and avoid those situations. See they don’t have a choice — the bullies. They’re weak because of their environment. If you have an environment where you aren’t weak then use that energy to help people. Helping is much stronger than beating up on helpless people. Help. Help the helpless. Help people who need compassion, in whatever you can do. Help. Don’t become weaker and just getting smaller. Get bigger. Get beat up. “I’ve come to help.” Service is a great way to develop strength. They will get weaker and weaker — drugs, alcohol, whatever — because they’re going to need it to deal with their own problem. If you start serving — your power is only going up. Your power is going down; your power is going up — with the help of the Divine.